I just redeemed my coffee punch card for the biggest mocha they had. Even better, it was free, which is the most tasty kind of mocha. It's been an interesting week. While the kids were off at Jamie's since Tuesday, Sam's been coming home at night. Tuesday Joanna and I went to the Granary to listen to jazz and eat home made ice cream. Last night Sam and I had a "boy play night". We got together with Josh to play Borderlands. Joanna watched briefly and made a few snarky comments about running around shooting people. Mostly it was fun listening to Sam laugh hysterically with Josh, as they clearly had a good time. The evening was topped off with cereal and The Office. Yesterday was also a day of frantically running around, signing and moving legal papers about. My lawyer Lynn called this morning and declared that we were officially divorced. There was an odd moment in Jamie's lawyer's office, entertaining the kids while Jamie signed things. Emma was a little sad, realizing the finality of it all. She was clingy in the end, and I had to reassure her that I'd see her the next day. It's nice to have things finally settled. Jamie was very helpful getting things sorted out. I was a little miffed at our lawyers in taking so long, so I got super grumpy with them in order to finalized things as planned. Dave and Kirsten had Ezra Wednesday night, and Sam and Emma were talking about how it was seeing their new nephew. Congratulations to both of them. Tomorrow is the start of a four-day weekend with the kids. I think we're going to try to go to a movie tomorrow, a library trip, and somewhere in there I need to get my hair cut. Tonight Joanna and I are going out to dinner at a waffle place, of all things. I'm hoping for a lot of hang-out time with kids before school starts in earnest. I finally put together the Christmas video. The end is the best part, with my dad dancing to It's Raining Men on Just Dance 2. I'm back at work, dealing with assorted crises before our go-live next month. The day after Christmas was entirely lazy, with the exception of Sadie's engagement party. We managed to get four children into the minivan, unleashed them upon the fancy party guests, and ate our way until leaving relatively soon. The decorations were lovely, mom, and the food was great as always. Emma loves her Sansa music and video player, and we ordered a custom skin for it. Her cute cat sticker should arrive soon. Monday I stayed home with everyone while Joanna went off to work. I was pretty tired due to Duncan waking up a little after 5 a.m. for the last few days, though espresso perked me up. Every day is Mocha Day during Christmas vacation. Sadie and Greg arrived a little after 10 a.m. and we began the endless game playing. It was lovely, including great boardgames such as: Cosmic Encounter, Last Night on Earth, and Munchkin. 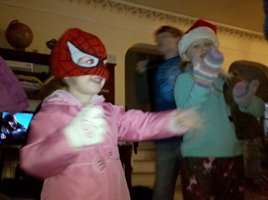 Sadie took the younger kids downstairs to play Just Dance 2, much to their delight. It was great having them around, not the least for backup parenting as I scrambled to get a bunch of legal stuff done. Basically if things don't get finalized by the end of the year, there are lots of expensive tax implications. I took Emma over to Jamie's this morning, and will see her back Thursday afternoon. I'm not quite sure what Sam's up to, though I think he's going over there as well. He'll be around this Friday when I take the day off, as Jamie's out of town until the following Tuesday. It'll be nice to have four days off with the kids. Perhaps we can take in a movie or go to the snow again. Tonight Joanna and I are going out for the first time in a long while, I think to listen to music somewhere. A low-key night sounds wonderful. It's Christmas Day, and everyone is wiped out. The kids are playing with their respective toys. Duncan's playing Kirby on the Wii, Sam's playing Dead Rising 2, Emma's watching Glee on her Sansa, and Berry's dressing Polly Pocket dolls. Joanna and Collette are both lying down, completely exhausted. I continue to trudge through cleaning and helping kids, slowly but surely. I was pretty mopey this morning, missing Sam and Emma quite a bit. It was my first Christmas away from them, which ended up being rougher than I expected. Duncan woke up at 5 a.m., and we opened stockings while Joanna slept a bit. Berry was up soon after, looking through her stockings too. Eventually we moved to Minecraft and Joanna eventually awoke. Duncan and Berry webcammed with their dad and opened presents. I made crepes and coffee. I went over to my mom's this morning for a little while, chatting with Sadie and Seraph on the phone. I brought back another mass of presents, and soon enough Sam and Emma arrived. Poor Sam has some sores in his mouth that are causing him trouble eating. We put on some topical anesthetic and he was able to much on the traditional English Christmas dinner that Joanna had made. There were crackers full of paper crowns, turkey, brussel sprouts, and Yorkshire pudding. We stuffed ourselves and started in on the presents. It's impossible to describe the next hour, only that the kids were overwhelmed and Sam kept saying it was too much. There are robots, dolls, and assorted clothes laying about. 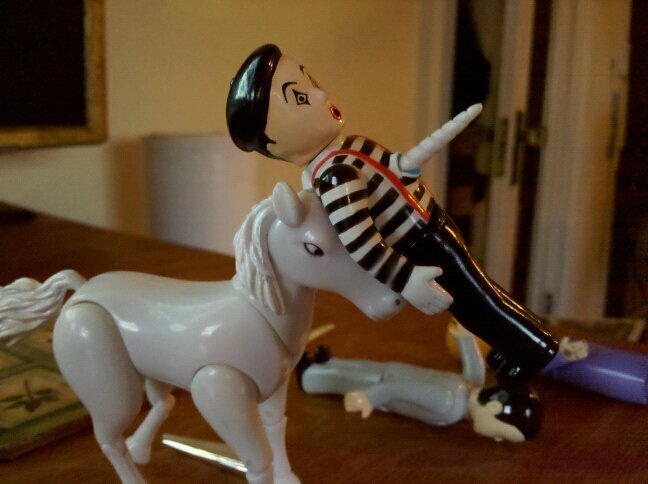 I ended up with two magical unicorns, much appreciated. We're off to Jenny's in a little bit. Duncan woke up early and I crawled out of bed to let Joanna sleep. She has a cold today, and ended up sleeping in until nearly nine. She's napping again. Hopefully she'll be up and about for Christmas. I made two batches of crepes, one normal and one gluten free, along with my traditional Friday mocha. Food was eaten and Minecraft was played. Berry and Duncan convinced Joanna to play for a fair stretch of time. I've been trying to indulge in various cleaning frenzies, but have only managed to clean the minivan. Before the day is done, I have a few presents to wrap and I'd like to try out the new power washer I bought. I may just stick with the present wrapping. 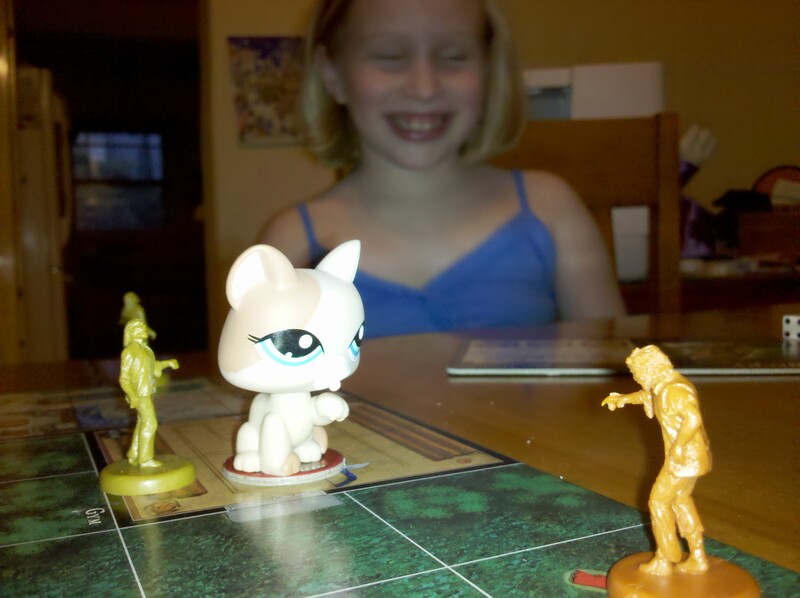 Sadie and her entourage are coming to hang out tonight to play Cosmic Encounter and chat. Tomorrow at noon Sam and Emma arrive. I'm still not sure when I'll be able to do Christmasy things with everyone else. Tomorrow night for dinner and Jenny's perhaps. Finally, we decided to go and get our tree. First, I searched high and low for a saw, as we didn't have one (last year we used an axe). When I finally found one, Seraph, Isabell, her friend Gennys and I started our long hike in search for our perfect tree. We climbed a hill, and marched through long untamed, dried, yellow grass. We then started up a rocky snow covered hill, panting all the way up. We slipped, rested, crawled up on all fours, and eventually spotted our tree encircled in a giant halo. When we reached our destintion, we gave great praise to our tree, cut it down, and dragged it 50 yards back to our house! It's nice to live so close, so we can hike up and cut down a christmas tree! Sam and Emma went off to Portland with their mom this morning. It hit me a little harder than expected, so I've been moping around this morning. Emma came with me to the dentist yesterday to watch Sam get his tooth extracted. He got nitrous as he was a bit nervous, picking the bubblegum scented mask. The roots got stuck, so there was some rooting about. Emma kept covering her eyes and wanting to punch out the dentist for hurting Sam. Sam had his traditional recovery of mashed potatoes and watching The Office all afternoon. We've been keeping the pain killers up, so he's actually doing pretty good this time around. Tonight Joanna and I are going out on a hot date to Target. The rest of the week is work, house projects, and getting ready for Christmas. Sadie's coming over for a hug tonight, which will be nice. I'm not sure what's happening Christmas Day, as I just heard Jenny's doing something at her house and I don't know when Sam and Emma return. Christmas is the season for family obligations and trying to keep kids happy. Hopefully I can juggle it all. Duncan interviewed Emma about her assorted horrible stories which produced her latest scars. It's Tuesday, though I had to think about it a bit. I'm alone with the kids, the three younger ones playing cheerfully in the basement with Hobbes. Sam is playing videogames, a brief respite before going to the dentist to get a tooth extracted. Poor guy. We had a fun and mostly lazy weekend. Sam was at Jamie's overnight. I took the kids to the library while Joanna got her hair cut short. Pizza and Mythbusters was enjoyed, and I got a new high score while grocery shopping (over $375 in a single trip). Church on Sunday involved Emma dressing as an angel and Berry and Duncan were cows. Santa happened after that. Yesterday was the epic snow trip. I got chains for the minivan, ran errands, made lunch, and loaded everyone up in the car. It was strangely quiet due to the in-car entertainment options. It made for a lovely trip along highway 58, the rain turning into snow. There were moments of grumpiness (mine, mostly), but once I gave up trying to control a horde of children in the snow, I enjoyed myself immensely. We ran into a bunch of people with sleds who were extremely nice and let us share. Snow people and forts were built. We ate Metropol goodies and drank hot cocoa. The drive home in the dark was slightly more rowdy, but generally cheerful. 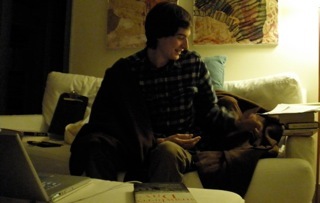 Once we got everyone home, they conked right out, leaving Sam and I to play Worms together. Joanna was out completely at 8:30. Hello! Some of the gifts from us may arrive on time for Epiphany, as it's taken awhile to get my act together. I sent Saie & Greg's and Adam & Joanna's gifts to Mom's house, and there are 2 parts to Mom & Bob's gifts. Sam, Emma, Duncan and Berry's gifts are coming! Yayoe & John - your gift is getting mailed you your house. Jenny, Destin, and Jordan's gifts won't come until latter, but I'll call and tell you what it is on Christmas! Dad & Ana's gift was sent to the Springfield address. Berry decided to wear Duncan's Spiderman hat this morning. It was hysterical with the pink jacket and shoes. We left her off at school where she proclaimed she'd wear it all day long. It was nice having Emma home last night. She must have been up early this morning, as she was reading her pink book about how to be a glamorous book. There are already book marks for things she wants to make or do. Should be an interesting four-day weekend. Sam made it to school yesterday. His teacher nicely reported only one question missed on his quiz. Sam played chess with Jordan, as usual, winning one game and losing another. He'll be at Jamie's tonight, returning tomorrow before pizza and Mythbusters. Joanna's getting her hair cut short tomorrow while I take the kids to the library. As we have four days off, I think we'll manage a mix of work, play, and getting ready for Christmas. If we can manage it, we might do an OMSI or snow trip on Monday. Fun, fun. 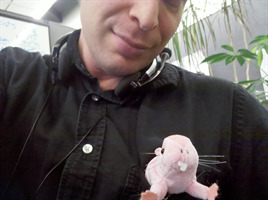 Bob and I ran errands all afternoon yesterday, and people seemed bursting with exuberance and good cheer. I wonder if we northern hemisphere people are hard wired to be aware of the winter seasons, and all the "Spirit of Christmas", festivals of light, etc, just followed logically. We had beautiful blue sky yesterday. It's been three whole days without worker guys in my house. I feel as though there is no longer a woodpecker tapping on the side of my head. Can't wait to hug Sadie! It's been a bit of an interesting week, with work news and sick kids. Sam was sick every day but today, and Emma every day but Monday. I stayed and worked from home yesterday, keeping an eye on everyone when Jamie went to work. Strangely I accomplished more than a typical day in the office. Most of our evenings have been low-key, playing Minecraft with Sam, watching Glee and Chuck, and working on laundry. Last night we took Berry and Duncan to the Little French School for their winter festival. My video camera batteries were almost dead, but I managed to get a few choice songs. It's Monday morning, and likely an important one. In another hour, I think we're going to get some information as to which jobs are moving to Vancouver. I'm hopeful, but it's scary nonetheless. The weekend was the usual mix of wonderful, crazy, and fun. I had a few grumpy moments, as well as time when I was having insane amounts of fun. I probably worked too much one of the days, and taking everyone down to the park in the rain eventually ended up being lots of fun (though it took a few catastrophes). Friday night Joanna and I went out to Moroccan food, complete with belly dancing. We ended up recognizing the dancer as someone we worked with, though it took awhile. She rarely balances swords on her head at work. Saturday was pancake day for everyone but Sam, who was at his mom's. 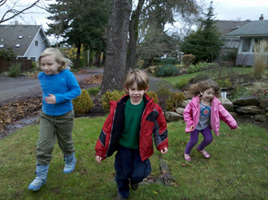 I took all three kids to the library, where they were quite well behaved, returning home with a massive cache of books. Sam came home early, as he wanted to build NWN2 modules. I went to get pizza and groceries for Pizza and Mythbusters night. 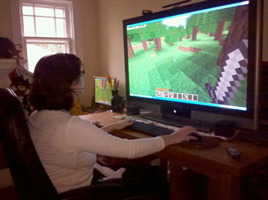 Everyone is into playing Minecraft now, myself included, so there were lots of turns being taken. It's funny hearing Berry say "MinusCraft" when she talks about it. Emma also did a great job with her homework, getting all her math done and much of her Tansinia project. Sunday had fairly nice weather, so we spent some time outside working on the yard. Joanna strung more Christmas lights and I did some yard cleanup and pruning. Sam got picked up to go to a movie with Chase, but evidently they got kicked out and wandered the mall until returning a couple hours later. In the afternoon we made our park run in the rain, with people getting very wet but generally having fun running and jumping about. There was lots of work too - six loads of laundry, an equal number of dishes, and countless meals cooked and served. Still, I've always known I'm a family guy and I get deep satisfaction watching everyone grow up. 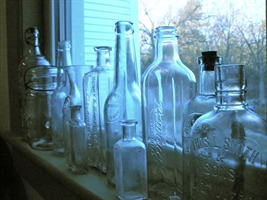 I have contacted all the siblings, and we're going small handcrafted presents for folks this year. Bring on the jam, cookies, and crafty delights! I have just finished my (crafty delightful) solstice gifts for the Miller-Wielesek-Kuramitsu-Bartlett clan, which require only one (blasphemous) thing (in the casual context of Eugene) on your part: lapels on the 26th. GOOD NEWS!!! Things are looking up! Emma got to dress up like a pirate today for school, complete with a little bird tied to her shoulder. I was, of course, deeply envious. Fortunately it's mocha Friday, so all is well. Sam and I got some hang out time together last night, watching the last episode of The Walking Dead. Emma took awhile to go to sleep and kept waking up, but was generally okay with me checking up on her every ten minutes or so. I also got the Neverwinter Nights 2 toolset working on his computer and he was busy building modules this morning. I think I'll see if I can help him put a little adventure together. I miss it, and don't have time to do one of my own, but perhaps I can assist with dialog and scripting. He's off to Jamie's tonight and possibly tomorrow night. We'll find a way to continue our pizza and Mythbusters tradition. I'm excited to hang out with Emma this weekend. Tomorrow certainly has a library trip involved, and I'd love to go swimming with the kids Saturday night. There are also Christmas things to prep for and a potluck tomorrow afternoon. Sam and Emma have been asking to play D&D, and I'm thinking about starting up a new 4th edition campaign for them. I have an old monitor I can turn on its back to act as a play surface for maps, and they can move their physical characters around on top of them. We'll see how nerdy I get. Work has been a little brutal lately, but I've risen to the occasion. I'm taking care of problems left and right, despite the fact that our Microsoft consultant couldn't handle them. I did start talking to my naked mole rat. I'd like to think he was my little helper, assisting when the work became too overwhelming. My team recommends therapy. Joanna and I are going out tonight, eating Moroccan food and watching belly dancers. Emma was excited to hear that while the normal babysitter is unavailable, we were replacing her with another cute, young blond. The last time we went, a drunk person got arrested on our car. Hopefully tonight's visit is less exciting. 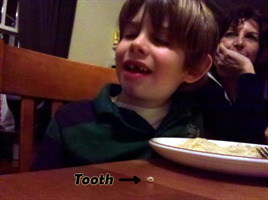 Duncan lost a tooth in the middle of dinner, popping right out while eating spaghetti. He seemed a little disappointed that he only got a card and a dollar in the morning. I told him that if he wanted a magic pony too, he had to loose a tooth and an ear. Sam got his grades last night, lots of A's, some B's, and a single D. The single D bugs me, as all the report card had was a note that Sam was missing assignments. This was the class where I met with the teacher and e-mailed him a bunch of times trying to get his assignments, then worked with Sam to get them turned in. Still, considering Sam missed a bunch of school and seemed despondent the first couple months, he did pretty good. I'm excited to hear how his new classes are coming along tonight. Joanna and I went to South Eugene High School to listen to the concert last night. They were remarkably good for high school students, looking very young and earnest. We went home a little early and headed to bed. Joanna's been feeling achey today and my throat has been sore. Maybe we got what Sam had earlier this week. Emma's home today, which is terribly exciting. She gets to dress like a pirate tomorrow. I'm trying to figure out how I can too. In college, I collected slate tiles that fell from the campus roofs during storms. I have half an early twentieth century pipe and match collection. And there are the suitcases. 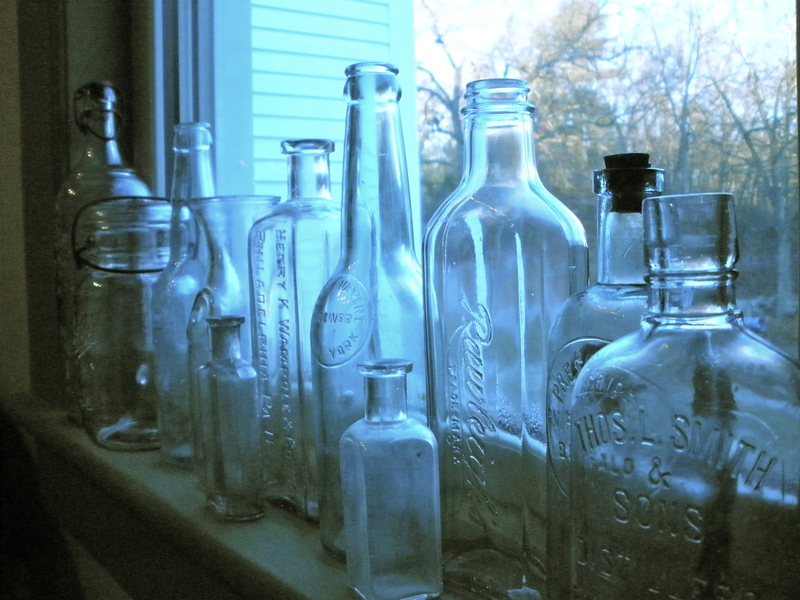 But this is my first bought collection, which will spend a day in the sun this August. I also had a temporary crown applied to the nub of my tooth last night, after they ground down what was left of it that was good and holy. Nervous about flossing on the first night, I waited until tonight, when bloody popcorn dislodged from my mouth. Remnants of my former tooth? Bits of Greg's wonderful Tuscan soup? The world will never know. Sam had the first day of his new term yesterday. He seemed generally interested, taking a new science class and his costume design class. I think he misses his old science teacher a bit, so the new one is on probation. In his sewing class, he was directed to sew something, so he made a little blue bag. Not bad for a first attempt. Unfortunately Sam was pretty sick this morning, so I kept him home. Joanna and I haven't been feeling great either, but the call of duty is strong. Hopefully he can get caught up soon. This last weekend seemed way too busy, perhaps because of the endless work accomplished over the last 48 hours. There was laundry, cleaning, shopping, and the rest, as well as a variety of Christmas-related tasks. Fortunately some of it was terribly fun. I had a good time getting a Christmas tree and bringing it home. Sam, Emma, and I helped hang lights outside. Stockings were hung by the chimney with care, and all that good stuff. I did manage a couple hours of playing Minecraft, and it was just as entertainingly addictive as Sam said it would be. After learning to fear the dark, I built a little shelter and mined the depths of the earth. By the end of the night, I was dressed in iron armor with an iron sword, atop my castle battlements. I had no need to fear the zombies that prowled the night. I made crepes both mornings for breakfast, including gluten-free ones for Joanna. Kids played, Emma did some homework, and we had a family dinner Sunday night. Joanna wanted duck, so it got cooked up and only Yayoe and Collette made it. In a way, it was nice to have a smaller crowd, and Yayoe's tofu was devoured by Emma and I. Now it's back to the normal routine, which sounds fairly relaxing after a somewhat frantic weekend. I returned from a long weekend in North Adams this afternoon to a very sad Gregory, who is holed up on the couch with a looming paper deadline. Thus begins the mad dash towards finals. He is dutifully typing away on early American race riots- always one for cheery paper topics. 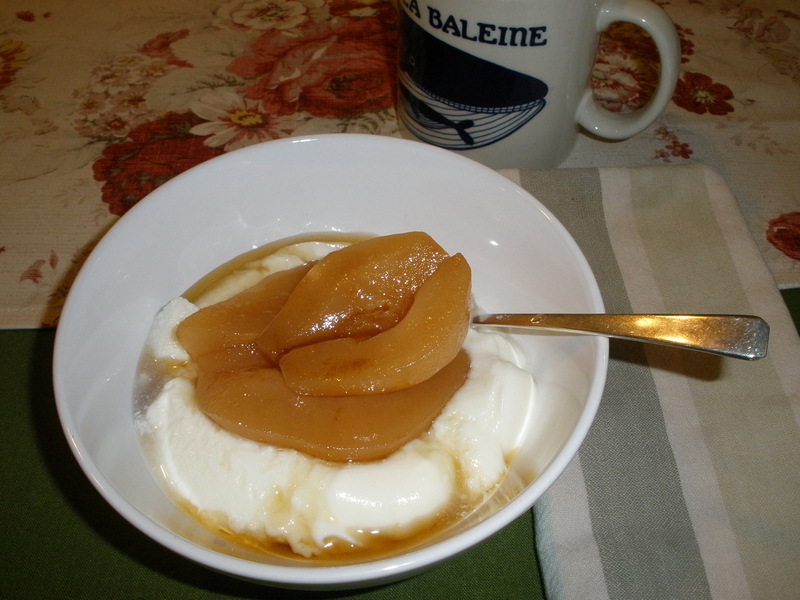 The winter is getting fierce, and I'm quickly demolishing my store of brandied pears, drizzled with maple syrup over yogurt. Mmm. On the way back from picking up an ill Emma from school, she announced that she hoped that the Beavers would win the Civil War tomorrow. I spoke firmly to Jamie, but she didn't 'fess up. I think all the basement sanding is done, and I'm looking forward to vacuuming and dusting up the accumulated grime. We had a low-key night, eating pasta dinner with Collette, playing the New Super Mario Brothers, and watching Glee when the little kids went to bed. Sam got to sleep in, as it was the end of the term yesterday and there was no school today. The plan is to get a tree tomorrow morning, likely after a massive batch of crepes get made. Sam's going to Jamie's overnight. Joanna's going to work on homework while I manage a movie night for the kids. I think she's a little stressed by the sheer volume of work she needs to do this weekend, so I'm doing what I can to make it easier. I'll be happy if we can put up a Christmas tree and get some decorations up. Well, that and the usual feeding of chickens, doing laundry, and keeping everyone fed, but I've grown used to it. My mocha's done. Time to call our consultant and ask where all his promised work has gone. I am quickly coming to the end of my Alternative Teaching Program. I have one class on Saturday and a final class on Tuesday. For one of my classes I have to do student teaching. My job is basically my student teaching. My advisor comes and observes me while I teach and I also needed my principal, Mrs. Lopez, to come and observe. Anyway, my advisor came in and said that I did a wonderful job teaching and said that I was a natural and I am going to be a successful teacher. Mrs. Lopez couldn't make it to either observation and finally came in today with Angela another Title 1 reading teacher from Alcalde. Angela observed me with first graders and also said that I was a wonderful teacher, and "it was a fresh of breath air to watch me teach." Mrs. Lopez finally came in to observe and also said that I was a terrrific teacher and said she would hire me on the spot as a teacher (right now I am reading tutor). None of the observers had any negative feedback. The critique from Mrs. Lopez was the high for me, as she is an excellent educator with an incredible teaching background. For her to give me that feedback, made my day, and I now know that I will be a very effective and influential teacher. I occasionally get a few moments to play games these days. 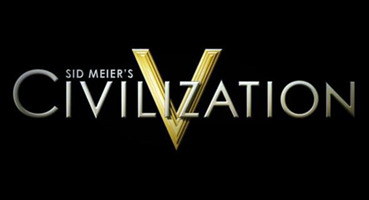 I've been slowly playing through a game of Civilization 5, and managed to win the space race. 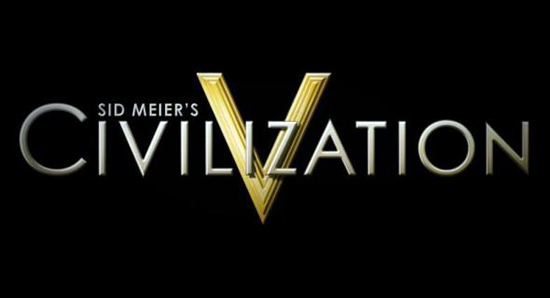 Last night Sam and I played a game of Civilization 5 together, which turned out to be rather fun as well. His Russian empire joined up with my Roman one and we proceeded to take over much of the main continent of our world. With my limited time, casual games are in favor with me. Bob Came In Pieces was somewhat fun, rocketing about and reassembling myself. I picked up some rhythm games, but only played a little. Sometimes I just watch Sam play his assorted games, and long for the days when I had hours of free time to burn. Sam and I played some Titan Quest with Josh a couple weeks ago, stopping when crash bugs made it not fun. I have some more coop gaming fun planned for the winter break. This class designs and sews the costumes for the spring musical. Students do not need previous sewing experience but must be willing to learn and to make items for the school instead of personal use. 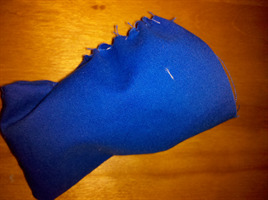 Students learn basic sewing techniques, both with a machine and by hand. Interested students will also be selected to help backstage during the show. To earn a C2 or higher students must be independent workers, willing to make mistakes and redo their work, willing to give their time in many different types of sewing projects and be able to learn and be tested in basic vocabulary and techniques. Credit is based on improvement, work completed and cooperation. Sam told me he enjoys Roosevelt more than elementary school, which is a relief after a bumpy start of the year. In addition to Jordan, he has a new friend Conner, a fellow Gleek who's also into semi-obscure games like Minecraft. This morning he was excited to go to his Check It Out class, where they were putting together a movie. All-in-all, he seems to be doing pretty well with school and life and such. Of course, he did lose another tooth yesterday. He put it on a plate, which I promptly put in the dishwasher. After he pointed out my folly, I rooted around for five minutes with a flashlight until I found the thing with Berry's assistance. This morning Sam got another funny note from the Tooth Fairy. I told Sam that I'm happy to pay him a dollar for the privilege of writing funny letters. He suggested two dollars. Happy Birthday Robbie! 38 amazing years, and just getting better!